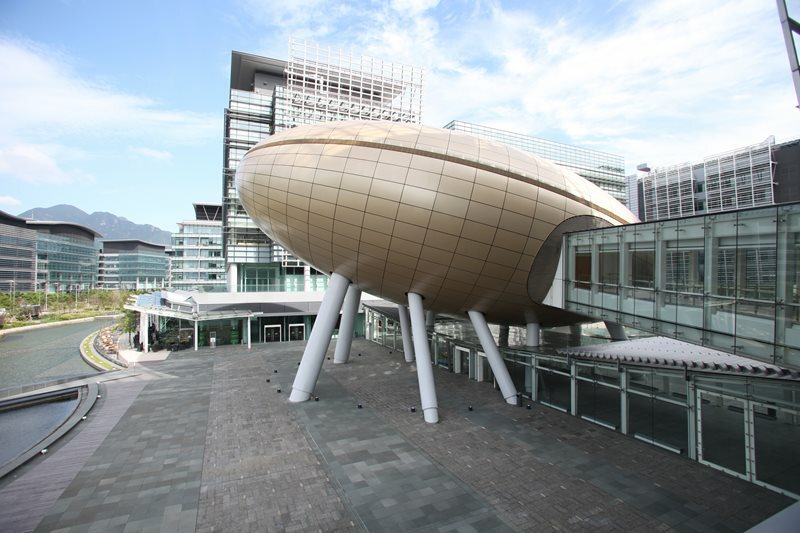 Hong Kong Science & Technology Parks Corporation’s waterfront site boasts over 330,000 square meters (3.5 million square feet) of offices, laboratories, conference and event facilities and retail space. Shen Milsom & Wilke provided services to Phases 2 and 3, totalling 17 buildings. Phase 2 included the design and construction of two energy towers, four laboratory buildings, five office buildings and an outdoor amphitheatre. Support facilities for these buildings included a business centre, a conference centre, a clubhouse, a network operations centre, exhibition areas, retail stores and restaurants, a gymnasium and a swimming pool. The flexible laboratories offer state-of-the-art technology for engineering, electronics and biotechnology. The conference centre contains the distinct, zeppelin-shaped auditorium. The 288-seat room can host 35-millimeter film with surround sound as well as modern audiovisual systems, and it offers international broadcasting with simultaneous translation. Phase 3 added five research and development office buildings to host over 600 partner companies. This phase won numerous sustainability awards, including a Leadership in Energy and Environmental Design (LEED) Platinum rating from the U.S. Green Building Council and a Building Environmental Assessment Method (BEAM) Plus Platinum rating from the Hong Kong Green Building Council.